We've been attending Podfest for the last three years. During that time it's really grown. This year from March 7-9, 2019, over 1000 people from around the globe will attend. We've vowed to never miss it again. Whether you're an aspiring podcaster or just someone who's looking to expand your audience, you'll find lots here for you. The networking events are second to none and the people are amazing. We've made some extremely valuable lifetime contacts here. ... See More For many of us, it's the only opportunity to emerge from our studio bunkers and mingle with kindred souls from around the planet. You never know what you might learn until you take the plunge and find out. Chris Krimitsos has done our burgeoning industry a real service. And according to him, it's about to take off on its next growth phase. So be part of it and join us there. Make sure you look for me. 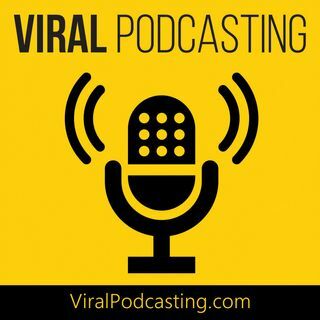 If you're a VP audience member, I'll give you a free copy of my book, Viral Podcasting: A Proven Process to Earn Six Figures from Your Show!